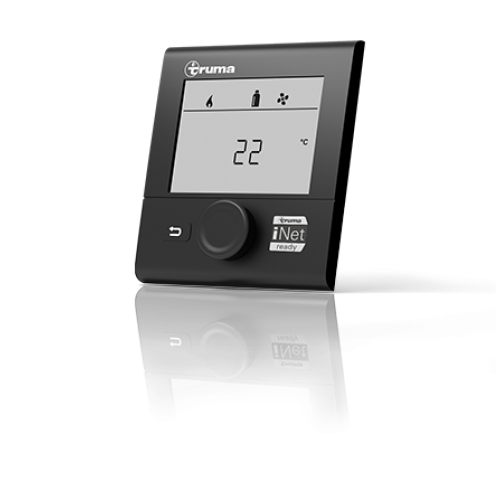 Truma CP plus iNet ready is a digital control panel for the Combi heaters and the Truma Aventa and Saphir air conditioning systems. Use it to set the room and water temperatures in your caravan or motor home simply and conveniently. If you have a Truma air conditioner and a Combi heater, the automatic climate control function controls the temperature in the vehicle – regardless of the outside temperature. 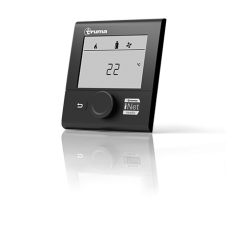 The digital control panel is compatible with all iNet-capable Truma appliances and can be retrofitted for these. It can also be extended with the Truma iNet Box. This networks the Truma appliances so that you can control them conveniently and remotely with the smartphone app.